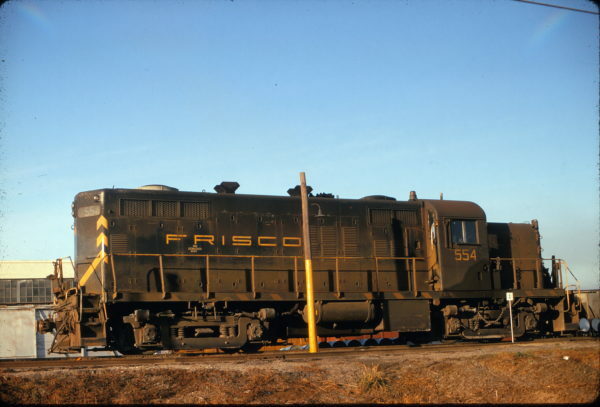 RS-2m 554 at Fort Smith, Arkansas in January 1963 (Mike Condren). RS-2 550 at Springfield, Missouri on April 12, 1953 (Arthur B. Johnson). RS-2m 551 at Springfield, Missouri (date unknown) (David Cash). 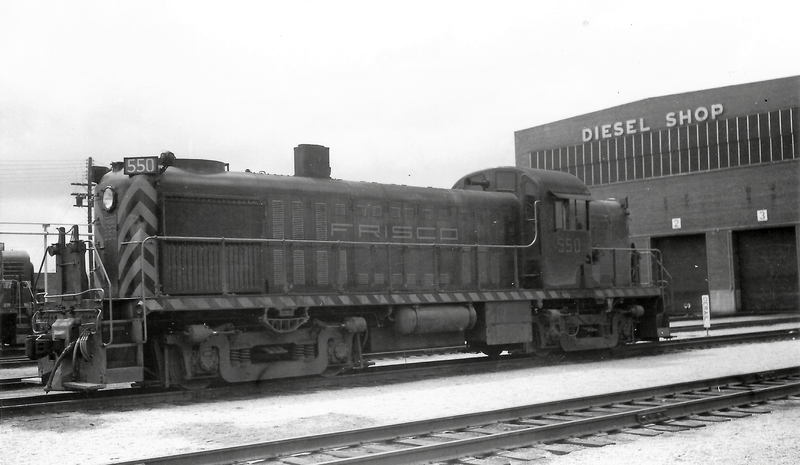 The locomotives are at the Kansas Avenue Diesel Shop, sitting on the east end of the pocket track. 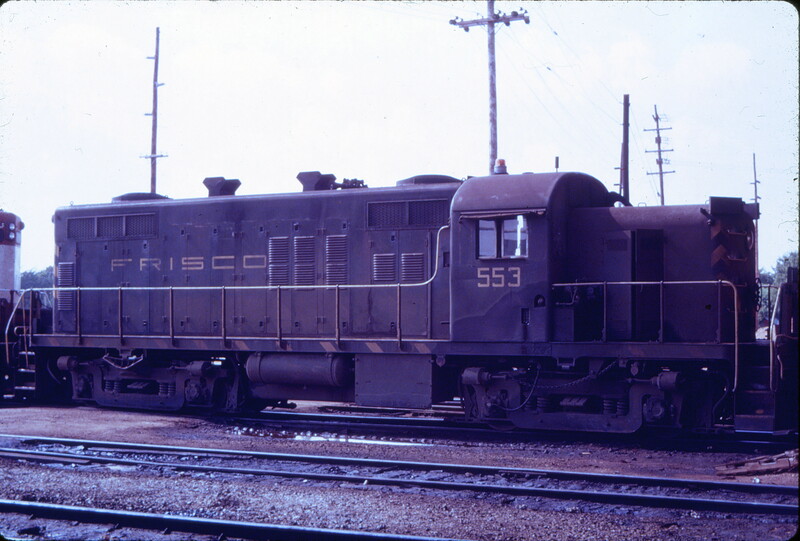 The track in the foreground leads to the east end of the service tracks area. The track behind the locomotives is the north lead to the West Shops area and Clinton Subdivision (High Line). 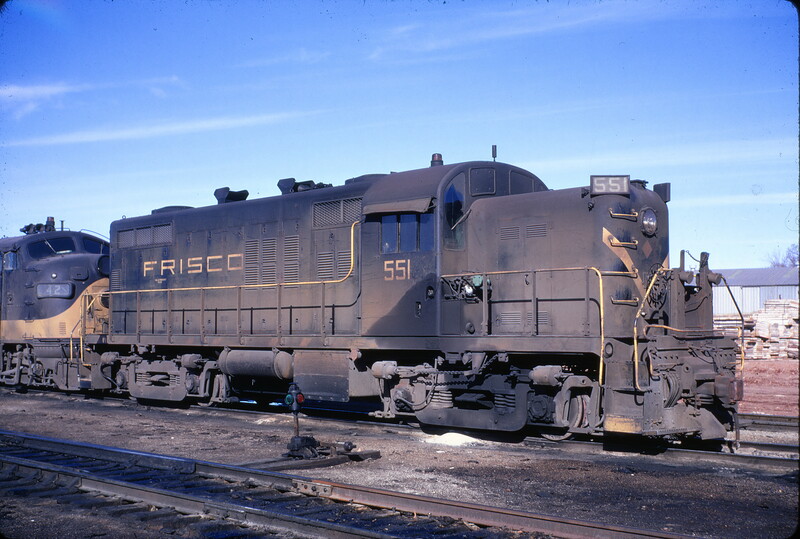 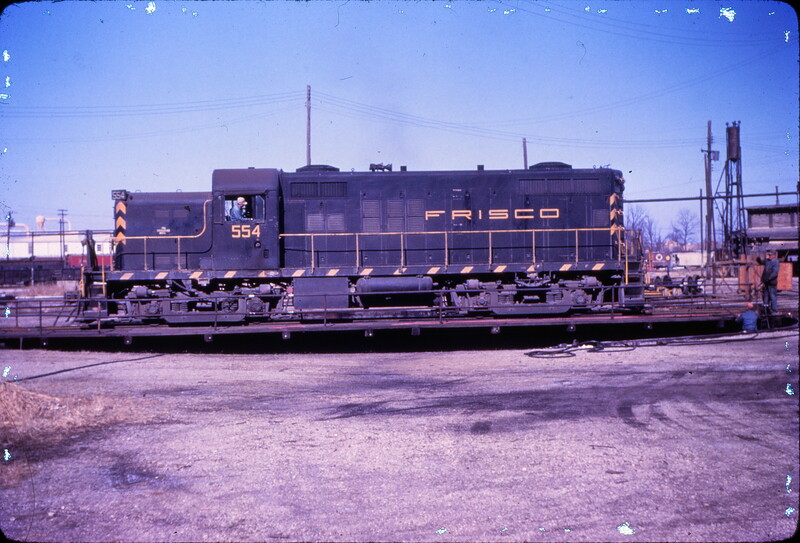 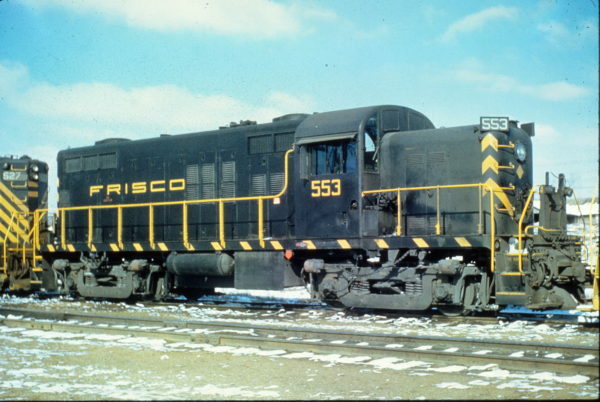 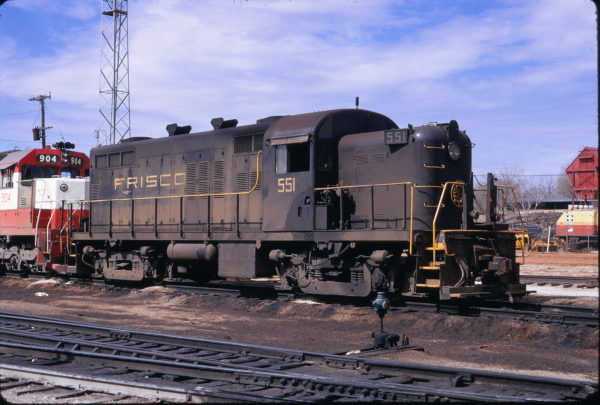 Based on other photographs in the Frisco Archive of the 551 and 42, the approximate date is March 1972. RS-2M 554 at Mobile, Alabama on January 4, 1970 (Howard Wayt). RS-2m 551 at Gary, Indiana on July 8, 1972 (Mike Schaffer). 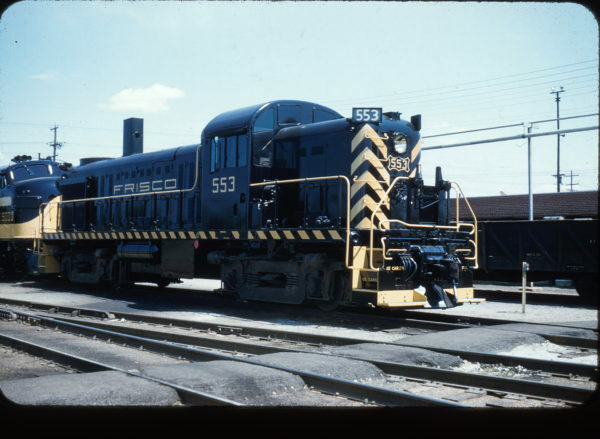 RS2m 551 at Springfield West yard (date unknown). 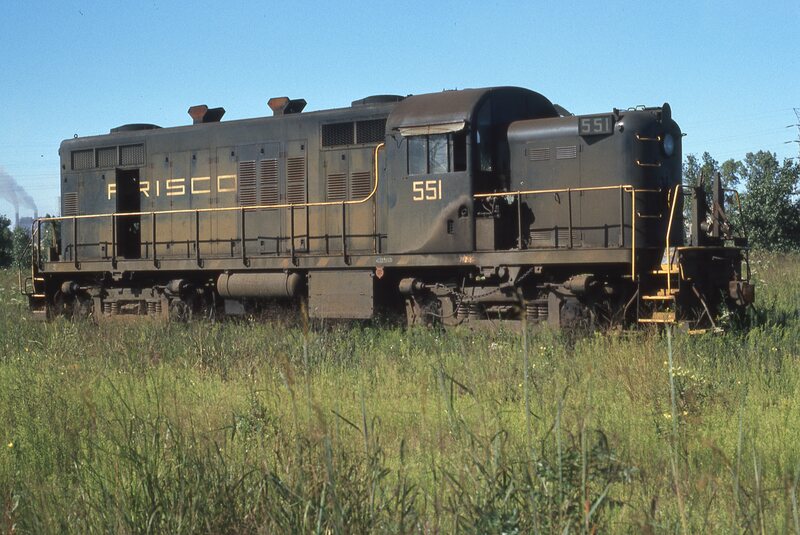 Thanks to Karl Brand for location identification. 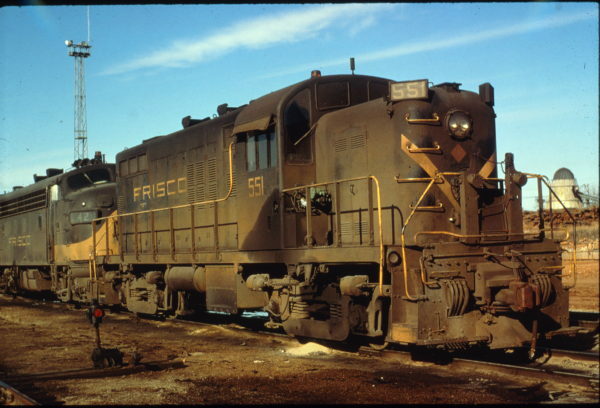 RS-2m 551 at Springfield, Missouri on March 17, 1972.